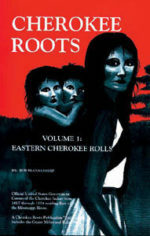 I’m searching for somewhere in my family to find my Cherokee roots my grandmother was Lennis Danks of Kentucky her father was John S Danks and mother Mary Anne Dennis I’ve traced a lot of the family back but I’m still looking for some help. Sanders and Pitts from Alabama, Georgia. I’m trying to finish my research on my Danks family history I believe the Cherokee side is on the maternal side I have a lot of information was trying to search for some more. I am trying to locate my great grandfather. Born August 24, 1794 in Logan County, Ky. Married William Danks in 1814. Searching for any info on my Sanders family from Georgia and North Carolina. Elias Plummer Sanders Sr. unknown parents marrried Mary Carter, daughter of Thomas Carter and Mary Elizabeth Chilton.Elias Sanders Sr born 1775 and died I believe in 1872 in Hart County Georgia. I don’t have the date or region for Mary Carter’s death.